While there were no major surprises, the new who, what and where to go is important information for food companies to know. One of the most significant changes is that the Minister for Small Business, previously held by Kelly O’Dwyer, is no longer a cabinet position. This means that the small business interests will have less say in the day to day running of government. Both Ministers have retained their appointments. The role of Assistant Treasurer has been renamed to Minister for Revenue and Financial Services, however the change appears to be in form only. The Treasury portfolio includes the Australian Competition and Consumer Commission, which is responsible for, among other things, enforcing Australia’s Federal competition and consumer laws. 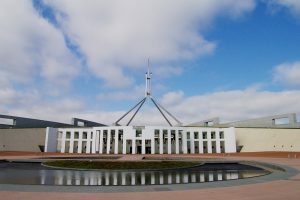 Also included is the Australian Tax Office, which oversees tax and tax incentives for businesses, the Productivity Commission, which prepares reports for Parliament on economic issues, and the Australian Competition Tribunal, which is a first-instance venue for alleged breaches of competition law. Deputy Prime Minister Barnaby Joyce has remained as Minister for Agriculture and Water Resources. This department is relevant to the interests of farmers and agribusiness, and also oversees Australia’s biosecurity policies. Joyce is also a member of the Australia New Zealand Ministerial Forum for Food Regulation (Food Ministerial Forum), which is responsible for developing policy and guidelines for food regulations, and the creation of food standards by Food Standards Australia New Zealand (FSANZ). The Food Ministerial Forum also has the ability to alter or reject standards proposed by FSANZ, or request that they be reviewed. The Minister for Trade, Tourism and Investment is now Steven Ciobo. This department oversees Australia’s international trade agreement negotiations. Its portfolio includes Austrade, which assists with the growth of Australian companies into international markets and encourages foreign investment in Australian industry. Sussan Ley has remained as Minister for Health and Aged Care. The Department of Health is responsible for policy regarding health products and medicines, including where this interacts with food. The Department is also responsible for aged care policy and biosecurity, where this affects personal health. There is no longer a Minister for Rural Health. The position was previously held by Senator Fiona Nash, who was Australia’s second Member of the Ministerial Forum. Nash is now Minister for Local Government and Territories, Minister for Regional Communications and Minister for Regional Development. Membership at the Ministerial Forum is now held by Dr David Gillespie, who is the Assistant Minister for Rural Health. Greg Hunt has taken over the Position of Minister for Industry, Innovation and Science from Christopher Pyne. The department is responsible for business grants, as well as the Food and Agribusiness Industry Growth Centre, a government-funded company aiming to boost productivity in the sector. The department’s involvement with business matters could partially mitigate the fact that Small Business is no longer a cabinet Ministry. Matthew Canavan was introduced as the Minister for Resources and Northern Australia. Canavan is responsible for the Office of Northern Australia, which promotes trade and investment in Northern Australia. This could promote the Northern Territory food and agriculture industry. Although Canavan has ministerial responsibility over the Office of Northern Australia, the Office is located in the Department of Industry, Innovation and Science.